Moshe Safdie is a renowned Palestinian architect, famous for designing the Habitat 67, a prefabricated concrete residential scheme based on three tiers of individual apartments appearing scattered in their zigzagged formation; and the site of the Expo 67, which was a yearlong exhibition held at Montreal. Moshe is known for the boldness of his architectural designs. 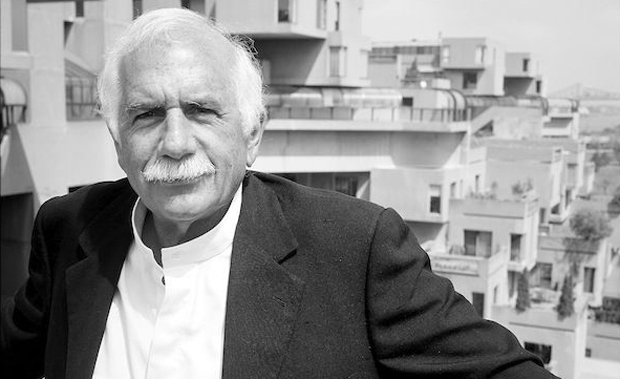 Moshe Safdie was born on July 14, 1938, in Haifa, Palestine. He attended the McGill University School of Architecture, Montreal. Safdie began his career in 1962, by joining the firm of notable architect, Louis I. Kahn, in Philadelphia. Some of his early projects include the Habitat Puerto Rica, designed in 1968, consisting of a modular residential system in San Juan; the Yeshivat Porat Joseph Rabbinical College in Jerusalem; the Coldspring New Town, commissioned by the city of Baltimore in 1971, to design a plan for a new town, consisting of housing, public and service buildings, and the Wailing Wall Plaza, Old City, Jerusalem. In 1978, Safdie was appointed as director of the Urban Design Program and a Professor of Architecture and Urban Design at the Harvard University, Graduate School of Design. Some of his later works include, a children’ Holocaust memorial at Yad Vashem, Jerusalem; a transport memorial, a Holocaust museum, an expansion of the Toronto International Airport, the Crystal Bridges Museum of American Art in Bentonville, Arkansas. In 2007, Safie opened up his own practice in Singapore, and in 2011, he opened up an office in Shanghai. He is the recipient of a Gold Medal by the prestigious American Institute of Architects.